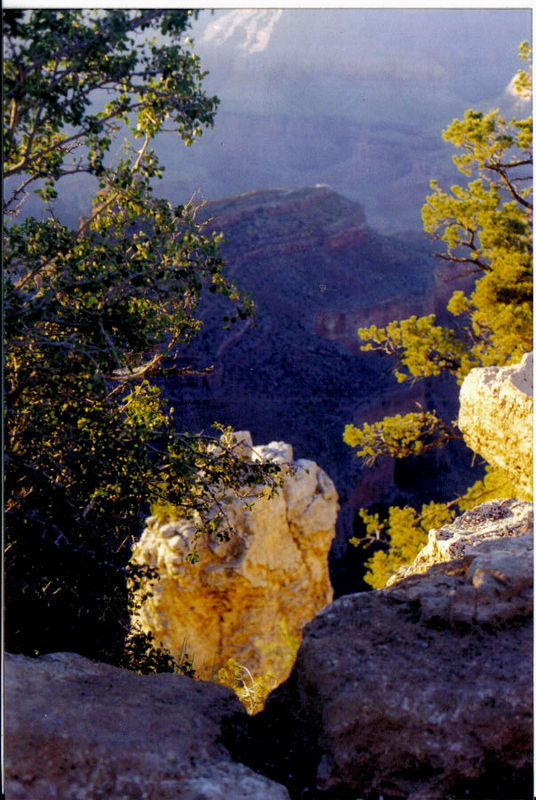 This is one of several shots I took of The Grand Canyon when I was there in 1998. The most amazing thing I discovered while I was there in the late afternoon, is that no matter where you stand, you feel tiny. I had never seen so many hues pop out all over,out of seemingly nowhere . The grand canyon defies description. I’m going to be so bold to use one word in a feeble attempt to describe it : CAPTIVATING.